The Southern Illinois University Edwardsville School of Engineering hosted visitors from China this week for a Sustainable Solid Waste Management training program. The training offered the Chinese guests insights as to best practices and management efforts currently used in the United States for the collection, separation, sorting, transporting, and development and implementation of solid waste programs for the public. The 21 managers and engineers were from the City of Ningbo in Zhejiang Province, China. Ningbo has an urban population of 3.5 million and produces 1.2 million tons of municipal solid waste annually. “The training program brings together high quality professionals and experts, including a world-class speaker Mr. N. C. Vasuki, P.E., BCEE, the former chief executive officer of Delaware (U.S.) Solid Waste Authority,” Zhou said. The guests also visited SIUE’s Environmental Resources Training Center, which is part of the School of Engineering. Photo: SIUE’s Jim Zhou (standing, center), associate professor and chair of the Civil Engineering Department, addresses a delegation of visiting Chinese engineers in a School of Engineering classroom. The Southern Illinois University Edwardsville campus will award degrees to 924 graduates when 2013 fall commencement exercises occur at 9 a.m. and 1 p.m. Saturday, Dec. 14. Commencement will take place in the Vadalabene Center on SIUE campus. The 9 a.m. ceremony will celebrate the matriculation of undergraduate and graduate students from the Schools of Business, Education and Nursing. Candi LeDuc who is earning a master’s in nursing, will be the student speaker during the ceremony. Kay Gaehle, associate professor for primary care and health systems in the School of Nursing, is the morning speaker. She received the 2013 Teaching Excellence Award, the most prestigious teaching award available to SIUE faculty members. The afternoon ceremony will include undergraduate and graduate candidates from the SIUE College of Arts and Sciences, as well as the School of Engineering. Elizabeth H. Littmann, who is earning a bachelor’s in computer science in the School of Engineering, will be the student speaker. Jeff Skoblow, associate professor of English language and literature in the College of Arts and Sciences, will speak at the afternoon ceremony as the recipient of the 2013 Great Teacher Award. Skoblow was honored with the designation by the SIUE Alumni Association and was nominated by his students. With questions about ceremonies, contact the SIUE commencement staff, commencement@siue.edu or call (618) 650-2252. Photo: SIUE Chancellor Julie Furst-Bowe. Southern Illinois University Edwardsville’s Igor Crk and Mark McKenney attended the International Conference for High Performance Computing, Networking and Storage Analysis (SC13) held in Denver during late November. The SIUE computer science faculty members returned to campus with a LittleFe computing mini-cluster to enhance classroom experiences. Crk and McKenney are both assistant professors of computer science in SIUE’s School of Engineering. At SC13, they participated in a build-out event and brought back one LittleFe mini-cluster to SIUE. During the workshop, they assembled and configured the hardware, and discussed and tested existing and potential educational modules for classroom use with the LittleFe. “The mini-cluster is largely intended for use in instructional activity involving high performance computing (HPC), parallel programming, and computational and data-driven science,” Crk said. “Its portability, due to its small size, makes it ideal for classroom demonstrations. According to its website, LittleFe originated in 2005 as an idea by Paul Gray from the University of Northern Iowa, Kean University’s Dave Joiner, Tom Murphy of Contra Costa College and Earlham College’s Charlie Peck. While the faculty members were teaching computational science education, they realized their curricula depended on local computing resources that were not always present. During November 2010, the LittleFe project was awarded a grant from Intel. The grant’s purpose was to build 25 clusters to be given to faculty members across the United States. These computational science educators, would use their LittleFe clusters to improve or develop curricula for their students, and ultimately for such globally available resources as HPC University (HPCU) and the Computational Science Education Reference Desk (CSERD). Crk and McKenney are currently developing learning modules to be used as classroom projects involving cluster computing both at SIUE and within the LittleFe community. They received support from the SC13 HPC Educators Program and the LittleFe Project to attend the conference. Photos: Igor Crk (upper right) and Mark McKenney (lower right). SIUE is pleased to announce that its premier continuing education program for the building industry, the Construction Leadership Institute (CLI), has been recognized by the American Institute of Architects (AIA) as an approved program eligible for continuing education credit. “In addition to architects, many in the building industry such as professional engineers regard AIA Continuing Education certification as a stamp of approval for continuing education to maintain their certifications and licensure,” noted Chris Gordon, co-director of the CLI and chair of the Department of Construction in SIUE’s School of Engineering. Registration is in progress for the 2014 session of the CLI scheduled to begin in early January. The curriculum is designed to develop and hone leadership, as well as effective communications skills. Other segments focus on crucial professional skills such as strategic thinking, networking, negotiation, finance, the creation of construction contracts, insurance and bonding, risk management and conflict management. The instructional team includes building industry professionals and subject matter experts. “This program builds knowledge and skills that would otherwise take years of experience to develop,” said Sandra Hindelang, co-director of the CLI and director of Executive Education in SIUE’s School of Business. To register, call Hindelang at (618) 650-2668 or visit siue.edu/business/cli. U.S.News & World Report Best Colleges of 2014 lists SIUE among the best Regional Universities Midwest for the 10th consecutive year and among the top 10 public universities in that category. The SIUE School of Business is accredited by the Association to Advance Collegiate Schools of Business International, representing the highest standard of achievement for business schools worldwide. The Princeton Review lists the SIUE School of Business as one of the top 294 business schools in the U.S. and abroad. The SIUE Department of Construction is accredited by the American Council for Construction Education, a leading advocate for quality construction education. Photo: Attendees at a 2013 CLI session. Southern Illinois University Edwardsville is seeking proposals for the FY2015 Excellence in Undergraduate Education (EUE) program. The deadline for proposals from faculty and staff members, and students is Feb. 3, 2014. “The purpose of the EUE program is to fund innovative projects that will have broad and sustaining impact in undergraduate education,” said Wayne Nelson, EUE program coordinator. Those contemplating a faculty led international study program and planning to submit an EUE proposal are encouraged to contact Dr. Ron Schaefer, distinguished research professor and director of the SIUE Center for International Programs. He can be reached at 618-650-3728, or rschaef@siue.edu. “If you have never led an international study program, but would like to discuss some possibilities, you are especially welcome to contact me,” Schaefer said. The EUE program at SIUE was established in 1986 as a way to provide funding for innovative projects in undergraduate education. The current funding level is about $150,000 per year, and the opportunities are made possible by the Faculty Development Council of the Faculty Senate, the Office of the Provost and the Vice Chancellor for Academic Affairs. Proposals must include a project that clearly relates to the education of undergraduate students. Other guidelines are listed on the EUE website. Program description and proposal preparation assistance also is available on the EUE website. General information sessions for those interested in preparing EUE proposals are being held at noon, Wednesday, Dec. 4 and at 2 p.m. Thursday, Dec. 5. Both sessions will take place in the Morris University Center Willow Room. For more information, contact Nelson at 618-650-2729, or wnelson@siue.edu. Kara Derrow, left, and Brian Derrow, right, have introduced DeulEX, a kit for stationary exercise equipment that allows users to virtually explore the world. Brian, a 2011 graduate of the School of Engineering, is launching a Kickstarter project for a new product that transforms exercise to exploration. DeulEX is a kit for stationary exercise equipment which allows the user to virtually explore the world. DeulEX seamlessly integrates with most exercise equipment. It consists of a speed sensor and joystick that attaches to an existing windows tablet or computer with a USB cable. Imagine riding through the St. Louis Arch, along The Great Wall of China or under the Eifel Tower during your next workout. With stunning satellite imagery and surrounding 3D buildings, the faster you move in real life, the faster you go in Google Earth. You have full direction control at your fingertips, so you can explore anywhere you want with no restrictions. DeulEX brings new life to your exercise equipment by taking your mind away from how long you have been exercising and gives you a place to go. A typical two-mile struggle now becomes an eight-mile journey. While a senior at SIUE, Brian and two friends began the development of the DeulEX product. SIUE’s Senior Design Program is one of the University’s many fine programs that put students on the right path to succeed in the workplace. SIUE was recognized for seven-consecutive years by U.S. News and World Report in its publication, “America’s Best Colleges 2012,” for having an outstanding senior capstone experience. Students display their acquired working knowledge by developing a project in a similar manor to the project development cycle found in their intended industry. The DuelEX prototype was set up in the student fitness center where everyone was able to virtually explore the world while providing valuable feedback. The design also was featured at SIUE’s 2011 Senior Showcase. Visitors were able to hop on a stationary bicycle and explore the streets of multiple cities from St. Louis to Hong Kong. “It was the fantastic support from the SIUE community that helped propel the prototype from a concept in 2011 to the finished product that we have today,” Derrow said. “While at SIUE, I was able to collaborate with professors and deans from multiple colleges including the College of Engineering and School of Business. One of SIUE’s newer clubs, started in 2010, is the Collegiate Entrepreneurs Organization. CEO sponsors “The Other 40” pitch competition where students can pitch their business ideas for a chance at initial seed money. The DeulEX concept was pitched at the competition and won second place. “The Other 40” competition’s success allowed for investing additional money into the design and brought it to production worthy status,” Derrow added. During September, the DeulEX product was launched on Kickstarter.com in hopes of bringing the invention out of the basement and into the marketplace. The website is full of projects of all sizes that are brought to life through the support of everyday people. People who fund ideas on Kickstarter often find the project interesting and want to be among the first to try it out. This particular crowd sourcing capital concept is advantageous for inventors, because the project creators keep 100% ownership of their work. Since Kickstarter’s launch in 2009, more than 4.3 million people have pledged funding for more than 43,000 projects. DeulEX, which is proudly made in Illinois, will hopefully be added to the list of successful launches. DeulEX provides everyone with a new adventure every day. It is also perfect for individuals required to do physical therapy or for students interested in world geography and architecture while maintaining an active lifestyle. SIUE and its networks, including the Alumni Association, provide the tools for past and present students to move forward with their ideas such as DeulEX. To learn more about the product launch for this American-made, SIUE born innovation, visit www.DeulEX.com. Christopher Branch, a senior electrical engineering major from Shiloh, was named this year’s recipient of the Student Laureate Award for Southern Illinois University Edwardsville by the Lincoln Academy of Illinois. Branch received the Lincoln Medal, a Certificate of Merit, and a monetary grant at a ceremony held in the Hall of Representatives in the Old State Capital hosted by the Governor of Illinois on Nov. 2. The Lincoln Academy began the Student Laureate Award Program in 1975 to honor students that represent the values and virtues of America’s 16th president, Abraham Lincoln. Recipients are chosen for their overall excellence in curricular and extracurricular activities. During 2011, Branch received the SIUE 1st Place Rising Sophomore Academic Award, a University wide paper writing competition. In 2012, he was awarded a scholarship from The Boeing Company; a prestigious award based on a student’s academic achievements and extracurricular activities. Branch also received the 2013 Electrical Engineering Outstanding Junior Award. During the summer of 2013, the School of Engineering ran a pilot study to gather data on the impact of supplemental instruction in pre-calculus classes. Branch was recruited to be part of the project team. He worked with his peers as a supplemental instructor in an interactive problem-solving environment. The aim was to improve their understanding of the course material. A non-traditional student, Branch began his studies at the age of 26, while raising a family. He was discouraged from signing up for classes by many people. He said he was told he could not finish his studies while raising a child. He proved them wrong—not only effectively balancing school, work and family, but excelling in the demanding program and earning a 3.95 GPA. Missael Garcia Hernandez, an electrical and computer engineering graduate from Southern Illinois University Edwardsville, recently was named the recipient of the University’s Outstanding Thesis Award. Born and raised in Mexico City, Garcia Hernandez is now a Ph.D. student in computer engineering at Washington University in St. Louis and credits his experience at SIUE with giving him the opportunity to go farther than he had expected. “Moving to another country to start a new life and face new challenges without any guarantees of success was a tough life decision,” he said. “Fortunately for me, the support of extraordinary people like Dr. (Bradley) Noble, my advisor, and friends in the SIUE community made the transition smooth, enriching and enjoyable. The Outstanding Thesis Award is presented annually to a graduate student whose thesis has been identified as a truly outstanding example of excellence in graduate-level research and writing. Garcia Hernandez will receive a cash prize of $500 and a framed commemorative certificate. In addition, his thesis also will be nominated for the 2014 Midwestern Association of Graduate Schools Distinguished Master’s Thesis Award. Garcia Hernandez received the award Oct. 30 at the SIUE Graduate School Honors Day Luncheon. Southern Illinois University Edwardsville’s School of Engineering hosted international delegations from Hebei University of Science and Technology in China and Universite D’Angers in France in October. Hexu Sun, president of Hebei University of Science and Technology, and Yongzan Xu, director of international relations at Hebei, represented the Chinese university on Oct. 23. During the visit, Sun expressed interest in developing various student and faculty exchange programs. A letter of engagement was signed to work toward developing mutually beneficial programs. A memorandum of understanding will be signed between the two institutions once these programs are more clearly defined. On October 25, John Webb, vice president of international relations, and Dominique Dubois, coordinator of the International Student Exchange Program (ISEP) from the Universite D’Angers visited the SIUE campus. The Angers delegation also met with Sharon McGee, chair of the SIUE Department of English and Joao Sedycias, chair of the SIUE Department of Foreign Languages to explore possible areas of collaboration. Ron Schaefer, SIUE’s director of international programs, was extremely pleased that the visits arose through SIUE supported faculty initiatives and faculty research. The Southern Illinois University Edwardsville School of Engineering was recognized throughout the American Society for Civil Engineers (ASCE) St. Louis Section’s 2013 annual dinner. The event was held Sept. 27 at Lombardo’s Trattoria in St. Louis. Civil Engineering graduate student Evan Wilson was awarded an ASCE St. Louis Section Scholarship. Section scholarships are awarded to individuals, who are passionate about civil engineering, hardworking, professional, competent, ethical, enthusiastic, conscientious, organized, focused, dedicated, respectful and strong leaders with great character. Common themes among the applicants included service, respect for the environment and working for the common good. Wilson also received a Structural Institute Scholarship. Civil engineering graduate student Damien Di Vittorio received a 2013 Mike Alizadeh/Geotechnology Scholarship. The intent of the scholarship is to provide financial assistance for geotechnical/environmental studies towards a master’s degree. The awardee is selected annually based on their enthusiasm for geotechnical/environmental engineering studies, their appreciation of the importance that field experience plays in the professional growth of an engineer and their academic record. SIUE civil engineering alum ’05 William Stahlman received the Region 7 Outstanding Younger Member Award. This award is given annually to an engineer, 35 years of age or younger, who has exhibited professional achievement and made significant impact to the field of civil engineering. Directly upon graduation from SIUE, Stahlman was appointed by the Port’s board of commissioners to serve as the port engineer. At the time, he was the youngest professional engineer to serve in this key position since the Illinois State Legislature created the Port in 1959. As port engineer, he is responsible for managing all engineering and construction projects within the Port’s jurisdiction. He received the St. Louis Section Young Award for Professional Achievement in 2011. Mr. Stahlman serves as the practitioner advisor for SIUE. Brent Vaughn, SIUE Civil Engineering adjunct lecturer and lab specialist, was sworn in as director of professional development for the ASCE St. Louis section. Jim Zhou, associate professor and chair of the Department of Civil Engineering, noted that Vaughn’s appointment will lead through a nine-year administrative path. Former SIUE Construction Management Chair Dr. Narayan Bodapati received the Professional Recognition Award. The honor recognizes the importance of professional attainment in the advancement of the science and profession of engineering. It is presented to a member who has made substantial contributions to the engineering profession and the St. Louis Section. After nearly 40 years in private practice, Bodapati joined the SIUE faculty in 1995 to share his experience with students pursuing careers in the construction industry. After 10 years at SIUE, he now serves as an adjunct professor for the Missouri University of Science and Technology Engineering Education Center. For a complete review of the ASCE’s annual dinner event, visit asce.org. During September, the SIUE School of Engineering sent two representatives to Hyderabad, India, with an interest in strengthening relations between the School and colleges in Hyderabad. Hosted by Guru Nanak Institutions (GNI), Dennis Bouvier, associate professor and chair of the Department of Computer Science, and Gary Mayer, assistant professor of computer science, spent a week visiting with GNI, the Chaitanya Bharathi Institute of Technology (CBIT) and the Teegala Krishna Reddy Educational Society (TKRES). Bouvier and Mayer spoke with administrators, faculty and students about establishing programs that would enable Indian students with opportunities to attend SIUE. Such an initiative also would provide the School of Engineering with the ability to strengthen its international presence in its master’s programs. Many of the discussions centered on computer science programs, but there is the potential for programs in electrical and computer engineering as well. The School of Engineering founded the relationship with GNI and CBIT when Sevim and Ron Schaefer, director of International Programs, visited the schools during a conference in Hyderabad. Harvinder Saini, Managing Director of GNI, brought five students to the SIUE campus last May to meet with faculty from SIUE’s Schools of Engineering and Business. Twelve Southern Illinois University Edwardsville School of Engineering students participated in regional and national open competitions held at the Associated Schools of Construction (ASC) Region 3 Conference at Downers Grove in mid-October. The SIUE Department of Construction students took part in two team competitions: the preconstruction competition and the heavy civil competition. The SIUE preconstruction team was awarded third place after California Polytechnic State University-San Luis Obispo and the Milwaukee School of Engineering. Pepper Construction sponsored the preconstruction challenge, which focused on preconstruction responsibilities including risk assessment, conceptual estimating, schedule development and logistics planning for a $30-40 million professional office building and training center. “Our students prepared and explained their schedule thoroughly, and demonstrated excellent coordination and communication skills throughout the process,” said Chris Gordon, associate dean of the SIUE School of Engineering and chair of the Department of Construction. SIUE’s reconstruction team consisted of: senior Thomas Parker of Edwardsville, senior Andrew Veliz of Belleville, senior Michael Trobaugh of Highland, senior Bryon Graminksi of Collinsville, junior Mason Musick of Lincoln, and senior Zachary Carlson of Quincy. Walsh Construction sponsored the regional heavy civil competition which required demonstrating competence in estimating, scheduling, safety and quality planning, and site logistics for a bridge and roadway project. SIUE’s heavy civil team members included: senior Avery Mason of Paris, senior Mike Van de Veer of East Peoria, junior Jared Kraus of Freeburg, sophomore Jacob Eilers of Breese, junior Chad Kolmer of Breese and senior Ethan Zachman of Germantown Hills. The challenge was open to all ASC member programs, and included 12 competing schools from Wisconsin, Michigan, Ohio, Indiana, Kentucky, Illinois, California and Texas. Photo: A Pepper Construction representative (far left) presents the third place award to SIUE preconstruction team members (second from left to right) Tom Parker, Mike Trobaugh, Mason Musick, Bryon Graminski, Zach Carlson and Andrew Veliz. Former U.S. Rep. Jerry Costello delivered a thoughtful lecture on “Our Nation’s Infrastructure—Approaching Crisis?” on Tuesday night to a full audience in the Southern Illinois University Edwardsville Morris University Center Mississippi-Illinois room. Mostly political science and engineering students turned out for the event. Costello is the Paul Simon Public Policy Institute Leader in Residence at SIU Carbondale. His visit was being made possible by the SIUE Department of Political Science Civic Education Project. “Population growth and development place additional stress on all forms of infrastructure in the United States,” Costello said. “Our infrastructure is important for us to deliver products and provide services every day. People use our bridges to get to and from work. Our waterways are used to get goods to market. Our aviation industry transports goods and people across the nation and around the world. Costello cited the American Society of Civil Engineers’ 2013 Report Card for America’s Infrastructure, which gave the nation’s infrastructure as a whole a D+, infrastructure in Illinois a D+ and infrastructure in Missouri a C-. He noted recent investments in railways place that form of infrastructure to move people and goods in the best position regarding its health, safety and viability. Amtrak, he said, had the greatest number of travelers in its history in 2012. The talk was particularly timely following the recent closure of a Wisconsin bridge because one of its sections dropped several feet, and this summer’s bridge collapse in Washington that sent three individuals to the hospital. Rice thought the topic was an important issue to bring to the public’s attention and that Costello was the perfect person to present the information. She thanked him for offering his expertise in this area to SIUE’s students and attendees from the outside community. During his 25-year tenure in the U.S. House of Representatives, Costello served on several committees and subcommittees. Those included the House Transportation and Infrastructure Committee, highways subcommittee, the water resources subcommittee, the rail subcommittee and more. He also served as the chairman of the aviation subcommittee, making him uniquely suited to address this pressing public policy issue. Southern Illinois University Edwardsville honored six graduates at the 2013 SIUE Alumni Hall of Fame on Friday, Oct. 4 in the Morris University Center. These alumni have achieved notoriety in their respective fields, are role models and are a testament to SIUE’s educational excellence. Michael Wenzel graduated from SIUE in 1970 with a bachelor’s in business administration/general accounting. After beginning his professional career with an international “Big Eight” firm, he transitioned to a local accounting firm. He served as a founding partner of Teel, Heller & Wenzel certified public accountants and formed Wenzel & Associates Ltd., CPAs in 1982. Wenzel joined the SIUE Foundation Board in 2008 and is president of the Foundation’s board of directors. He exhibits leadership and dedication to his community through his involvement with numerous organizations. Helen Damon earned multiple SIUE degrees – bachelor’s and master’s in biological sciences in 1972 and ’75, respectively; and a master’s in environmental studies/sciences in ’81. She broke age barriers in the 1960s by attending SIUE as a non-traditional student. Damon completed her education after raising a family. She taught environmental classes at local colleges, achieved the Master Naturalist designation and continued her research to improve the environment, while educating the next generation. Damon’s work with the Illinois Department of Health led to the 2004 Lifetime Achievement Award from the Waste Water Professionals of Illinois. That award is now named in Damon’s honor. She is a founding member of SIUE’s Meridian Society. She also served as president of the SIUE Alumni Association in 1993, having served on the board of directors from 1986 -‘95. Elizabeth Stroble, Ph.D., earned a pair of master’s from SIUE in history in 1980, and American and English literature in ’84. She is president of Webster University and chief executive officer. Webster is the only Tier 1 independent non-profit university with a network of international residential campuses serving 22,000 students in sixty cities and eight countries on four continents. Stroble began her career as a secondary teacher in Vandalia. During a time frame, she completed her postgraduate work at SIUE. Following the completion of a doctorate at the University of Virginia, Stroble progressed through academic and administrative ranks at Northern Arizona University, University of Louisville and University of Akron to become Webster’s 11th president. She is a published author and speaker, recognized throughout her career for professional contributions to education, women and leadership, and community engagement. William Schmidt, D.M.D., earned a bachelor’s in biological sciences from SIUE in 1973 and a doctorate from the SIU School of Dental Medicine in ’76. At the SDM, Schmidt was awarded membership in the Omicron Kappa Upsilon Honorary Dental Society and the Pierre Fauchard Academy. After completing a general practice residency with the U.S. Public Health Service, he continued his education at the University of Washington, where he achieved an MSD in prosthodontics. Schmidt has lectured nationally and internationally on various prosthodontic, restorative and implant topics. For more than thirty years, Schmidt has enjoyed his private practice in Seattle, specializing in fixed and removable prosthodontics and implant restorations. Schmidt and his wife, Alicia, have been past presidents and served on the Washington chapter of the Cystic Fibrosis Foundation Board for more than 20 years. Margaret Blackshere earned both bachelor’s and master’s in elementary education from SIUE in 1965 and ’72, respectively. A former classroom teacher, she has served at all levels of the labor movement, including as president of the Illinois Federation of Teachers (IFT) Local 763 in Madison; vice-president of the IFT; and secretary-treasurer of the Illinois AFL-CIO. In 2000, she became the first woman to be elected president of the Illinois AFL-CIO, retiring in 2007 and being named president emeritus. Blackshere was the first SIUE alum to be appointed by Governor Daniel Walker to the SIU Board of Trustees. President Bill Clinton appointed her to the Commission of Presidential Scholars. She was the first SIUE alum named Distinguished Alumnus of the Year in 1974. Since retirement, she has traveled to countries throughout the world, engaging women in efforts to improve working conditions and become politically active, and teaching women about equality. David Brammeier, P.E., PTOE earned a bachelor’s from SIUE in civil engineering in 1975. He has more than 38 years of experience on the design and analysis of complex transportation issues. He is one of the principals of Crawford, Bunte, Brammeier/Traffic and Transportation Engineers and is responsible for project management, technical and design guidance, and overall administration. He leads the firm’s efforts in the design of roads and intersections to achieve maximum traffic flow and reduce the possibility of accidents. Brammeier thanked his business partners for his long-term success. He also complimented the School of Engineering and Dean Hasan Sevim for producing graduates capable of successfully competing in the marketplace. Timing, phasing and synchronization of traffic signals are projects typically conducted under his guidance. He also has been involved in various aspects of providing expert witness services for lawsuits with testimony related to a wide range of traffic and transportation issues. Photo (from L to R): Webster University President Elizabeth Stroble, Michael Wenzel, Margaret Blackshere , Dr. William Schmidt, David Brammeier and Helen Damon (seated). Southern Illinois University Edwardsville and the Construction Leadership Institute (CLI) Advisory Board are soliciting nominations for the 2014 Construction Leadership Institute Alumni Leadership award. The honor will recognize an outstanding graduate of the CLI program and honor the individual’s exceptional contributions to the building community through their leadership, character and hard work. To be eligible for the annual award, a CLI graduate must have demonstrated exceptional professional accomplishments and community/public service. Members of the St. Louis and southern Illinois area building communities, and the public are invited to nominate a graduate for the award by visiting the CLI website. Nominations can be made using a convenient online form that takes just moments to complete. A list of CLI graduates is also available on the website. The CLI Alumni Leadership Award was first awarded in 2013 to Frederic J. McCall, vice president of BSI Constructors located in St. Louis. McCall received his award at the CLI 10th Anniversary celebration last May. “The list of CLI alumni includes so many accomplished leaders who have had a profound impact on the St. Louis area construction business, and I am humbled to be the first one honored this way,” said McCall. Nominations must be received by Friday, Nov. 1, to be considered for the 2014 CLI Leadership Award. Photo: BSI Constructors VP Fred McCall. Southern Illinois University Edwardsville’s Bryon Graminski is the recipient of an American Concrete Institute (ACI) Baker Student Fellowship. Following on the heels of this announcement, SIUE’s ACI Student Chapter took second place in the ACI Missouri Chapter’s student competition. The fellowhship is for undergraduate students with a career interest in the construction industry entering their junior or senior year, studying in a civil engineering, structural engineering or construction industry management program. The purpose of the student fellowship program is to identify, attract and develop outstanding professionals for productive careers in the concrete field. During the academic year, each student will receive a $7,000 educational stipend for tuition, residence, books and materials; appropriate certificates, recognition and publicity; paid travel expenses and attendance fees for two ACI conventions; assignment to an industry mentor; and an optional summer internship. A senior from Collinsville, Graminski is working on a bachelor’s in construction management in SIUE’s School of Engineering. His career goals include earning a master’s in construction management and starting his own company. Anne Werner, an assistant professor in the School’s department of construction management, is the SIUE ACI chapter’s faculty advisor and nominated Graminski. Tony Probst, SIUE ACI Student Chapter president, said the SIUE team won $200 for its runner-up finish in the pervious cylinders competition. The event took place on Thursday, Sept. 12, in Kansas City at the UMKC civil engineering laboratories. The SIUE team submitted a 4-inch-by-6-inch concrete cylinder that was tested for both tensile strength and permeability. The goal was to have the strongest concrete along with a high flow rate for water to pass through the concrete. Southern Illinois University Edwardsville Graduate Teaching Assistant Michael Williamson was honored last week as a “Top Community Leader Under 40” during a banquet sponsored by the Effingham County Chamber of Commerce and the Effingham Daily News. The event was held at the Keller Convention Center in Effingham, which is a little over an hour and a half east of the St. Louis area. The award reception was held to celebrate individuals who have set a great example of community leadership. Dr. Ernest Kwaku Kraka and his wife, Dzifa Kugbega speak with Dr. Sabrina Trupia of the NCERC at SIUE: Advancing Biofuels Research during last week’s research centers fair. The couple is from Ghana. Faculty members, students and members of the community attended this year’s research center directors’ reception last week in the Southern Illinois University Edwardsville Morris University Center to find out about available resources and interdisciplinary opportunities. The reception opened with presentations from four of SIUE’s research centers, including the Illinois Education Research Council (IERC); the Institute for Urban Research (IUR); the Center for Science, Technology, Engineering and Mathematics (STEM) Research, Education and Outreach at SIUE (STEM Center), and the NCERC at SIUE: Advancing Biofuels Research. The IERC, established in 2000, provides Illinois with education research to support P-20 education policy making and program development. The center takes part in independent research and policy analysis in collaboration with other researchers. The IERC uses information it gathers at the state level to provide citizens with a seamless system of educational opportunities and to inform policy-makers. More information is available at www.siue.edu/ierc. The IUR, which was founded in 2001 by a federal grant from the Department of Health and Human Services, is a community resource that brings together top SIUE experts to explore ways to solve the issues that affect life in urban and metropolitan areas. Business, government and community leaders rely on the IUR’s expertise in urban issues, data analysis and project management to implement applied research projects that benefit the entire region. For more information, visit www.siue.edu/graduate/iur. The STEM Center is dedicated to building a community of researchers and educators who, together, innovate ways to engage students and the public in STEM. Partnerships exist through collaborative grant projects, working with faculty fellows and providing faculty service, as well as engaging in service learning projects for students. More information is available at www.siue.edu/stem. The NCERC at SIUE facilitates the commercialization of new technologies for producing biofuels more effectively. It utilizes interdisciplinary, inter-institutional and industrial collaborations to conduct research. It also develops and provides hands-on training to prepare students for the biofuels workforce. For more information, visit www.siue.edu/ethanolresearch. Each of the presenters brought examples of how their center has touched the lives of students, faculty members and the surrounding community. Students and faculty members provided in-person and audio testimony about the value of their experiences. Some students referenced the ability to “apply an academic background and get real world experience” as solid reasons to recommend collaborating with the research centers. Others talked about how they enhanced their presentation and interpersonal communication skills. The Gardens at SIUE Director Jane Drake was on hand to answer questions about how that Center is providing a growing number of opportunities. Currently, Drake works with students through sustainable-focused courses in historical studies, engineering, instructional science, biological sciences and English language and literature, as well as freshman seminar. The Gardens is a 35-acre property that includes a variety of natural areas, gardens and sculpture in a landscaped setting. It has been recognized by the Missouri Botanical Garden as a Signature Garden. For more information about The Gardens visit www.siue.edu/gardens/. Visitors stopped by center booths to review posters, pick up branded items such as pens, calculators and more, and ask questions of university faculty and staff members. Dzifa Kugbega, an international student from the Republic of Ghana in the master of public administration and policy analysis program, attended the event with her husband, Ernest Kwaku Kraka and the couple’s six-month old daughter. She said she was interested in the opportunities available through the IUR. “This program today has been helpful in teaching us about options,” Kugbega said. Kraka, also a native of Ghana, stopped by the NCERC at SIUE booth. Kraka holds a Ph.D. from Mississippi State University in agricultural science. The event also included the Interdisciplinary Research and Informatics Scholarship (IRIS) Center, founded by Dr. Kristine Hildebrandt and Dr. Jessica Despain, associate and assistant professors of English language and literature, respectively. The purpose of the Center is to explore the possibilities of digital research within the humanities and social sciences. Its website, which currently is undergoing updates, is www.siue.edu/iris. For more information, visit the Center’s blog site at http://siueiris.com/ or call (618) 650-2667. Information about the Cuban and Caribbean Center also was available at the event. The Center’s objective is to create a more diverse and inclusive academic and cultural experience with Cuba and the Caribbean through curriculum development and academic collaboration. More information is available at its website, http://www.siue.edu/CAS/CCC/. Additionally, the Laboratory for Applied Spatial Analysis (LASA) was represented at the fair. Undergraduate and graduate students work with LASA each semester, conducting site and field work for satellite mapping, and researching. Students gain real-world experience by working on projects with agencies, such as the Abandoned Mines Division of the Illinois Department of Natural Resources, the USDA Soil Conservation Service, local and county governments and school districts, and more. LASA’s interdisciplinary nature creates the opportunity for cross-collaboration with the schools of Engineering and Nursing, the departments of Anthropology, Biological Sciences, English Language and Literature and others. Professor of Geography Randall Pearson, LASA’s director, is available to answer questions about the Laboratory and direct individuals to resources. He can be reached at (618) 650-5735. Flyers were on tables at the reception announcing the upcoming 2013 Graduate School Fair at Southern Illinois University Edwardsville. There will be two chances to meet with faculty and staff members to discuss options for graduate studies. Times have been set for 11 a.m.-1 p.m. and from 5-7 p.m. Wednesday, Oct. 9 in the Morris University Center Goshen Lounge. Representatives from more than 40 graduate programs will be on hand to answer questions and talk about areas of study, flexible options, graduate assistantships, the track to graduation and much more. Free parking will be available in Lot B, which is next to the Morris University Center. To register, visit the graduate fair registration page through the SIUE Office of Admissions. For more information, call (618) 650-2741 or email graduateadmissions@siue.edu. Learn more at siue.edu/graduatestudents. Two officials from Mehmet Akif Ersoy University in Turkey are visiting the Southern Illinois University Edwardsville campus. Dr. Mustafa Saatci, rector; and Dr. Mehmet Ozcan, assistant professor in the Department of Foreign Languages, arrived in Edwardsville on Wednesday. Sevim, the Turkish-born dean, said he first met Ozcan a year ago at an international conference in India. “The purpose of the conference, sponsored by the Indus Foundation, was to bring representatives from educational institutions all over the world to meet with Indian delegates to promote global collaborations,” Sevim said. While at the international conference, Ozcan also met with representatives from Northern Arizona University in Flagstaff, who invited them to visit their campus. When Saatci and Ozcan learned of the date that they would visit Northern Arizona, they made arrangements to also meet with their new Turkish friend and SIUE officials. Saatci and Ozcan visited Arizona on Monday and Tuesday. They arrived at SIUE on Wednesday evening. The pair will leave campus on Friday evening. On Thursday, the guests met with various SIUE administrators including: Dr. Julie Furst-Bowe, chancellor; Dr. Ann Boyle, interim provost and vice chancellor for academic affairs; Dr. Susan Thomas, associate provost for academic affairs; Dr. Bette Bergeron, School of Education dean; Dr. Chris Gordon, School of Engineering associate dean; and Dr. Ayse Evrensel, chair of the Department of Economics and Finance. On Friday, the pair is slated for several activities, including appointments with Vice Chancellor for Student Affairs Narbeth Emmanuel, Center for International Programs Director Ron Schaefer, School of Engineering Associate Dean Cem Karacal, Chair of the Department of Electrical and Computer Engineering Oktay Alkin and Dr. Seran Aktuna, professor of English Language and Literature. Mehmet Akif Ersoy University is a four-year school, established in 2006 in Burdur, a southwestern city in Turkey. The university is named after the famous Turkish philosopher, member of parliament and poet who lived from 1873-1936. Ersoy was also the author of Turkey’s national anthem. The university, which has approximately 12,000 students, offers a wide range of disciplines, including education, business and engineering. The school is best known for its veterinary and nursing schools, according to Sevim. “If we agree on the cooperation, Sevim said, “we may end up helping them with their new programs and to improve their existing program offerings. They may send some of their faculty members and doctoral students to be with us. For more information, visit Mehmet Akif Ersoy University, http://www.mehmetakif.edu.tr/en/index.php?type=0700&page=tarihce. A two-man Turkish delegation from Mehmet Akif Ersoy University visited SIUE’s campus from Wednesday through Friday. Pictured from left to right: Dr. Hasan Sevim, SIUE School of Engineering dean; Dr. Ann Boyle, interim provost and vice chancellor for academic affairs; Mehmet Ozcan, assistant professor in the Department of Foreign Languages at Mehmet Akif Ersoy University; Dr. Julie Furst-Bowe, SIUE chancellor; Dr. Mustafa Saatci, Mehmet Akif Ersoy University rector; Dr. Susan Thomas, associate provost for academic affairs; and Dr. Cem Karacal, school of engineering associate dean. SIUE Chancellor greets Mehmet Ozcan, assistant professor in the Department of Foreign Languages at Mehmet Akif Ersoy University as Dr. Mustafa Saatci, rector, looks on and SIUE School of Engineering Dean Hasan Sevim makes introductions. The Southern Illinois University Edwardsville School of Engineering is proud to announce it has seen an overall growth of 40 percent from 1,054 to 1,462 students From 2008 to 2013. The School has been working hard to meet the needs of its ever-increasing student population. From 2012 to 2013, undergraduate enrollment increased 11.76 percent, from 1088 to 1216 students. During that same time frame graduate enrollment increased 16.6 percent, from 211 to 246 students. In fall 2013, The School launched a holistic retention program for its freshmen and sophomore classes to improve the prevailing rate of 80 percent in both classes to at least 90 percent each. The School of Engineering announced plans for a 32,000 square-foot annex in 2010. The addition was designed to make room for the increasing student population and will facilitate the delivery of the state-of-the-art engineering education that attracts highly qualified students. The School plans to occupy the addition in time for the spring 2014 semester. With the high quality, well-prepared students that the School has been attracting, comes more engagement in activities. Students are entering more competitions, reaching out to the community, and are taking an active role in recruitment. With this in mind, the School is in the early stages of designing a 14,000 square foot Student Design Center to give the students space to make their visions come alive. A total of 14 undergraduate students from Southern Illinois University’s School of Engineering will present to the Chancellor’s Council on Oct. 16 about the four weeks they spent in Istanbul, Turkey during this year’s Study Abroad program. The SIUE students, who represented the Industrial and Manufacturing, Mechanical and Electrical and Computer Engineering departments, studied sustainable alternative energy and history of science and technology at Istanbul Technical University (ITU.) They received college credit for their experience and efforts. After spending their mornings in the classroom they were able to explore Turkey on field trips to industrial plants using alternative energy, as well as historical sites including the Hagia Sophia, Grand Bazaar, Basilica Cistern, Bosporus Bridge, and Topkapi and Dolmabahce palaces. The students were housed in ITU residence halls and granted full access to the university’s facilities. They learned the similarities and differences of the two educational systems and cultures with daily interaction with Turkish students. The travel study program was organized by Cem Karacal, associate dean and professor in the School of Engineering. The courses were taught by Serdar Celik, associate professor in mechanical engineering and Geoffrey Bowe of ITU Humanities. The Women Engineers at Southern Illinois University Edwardsville (WE@SIUE) Open House is set for Saturday, October 5, from 8 a.m. – 4:30 p.m. at the School of Engineering Building. The event is sponsored by the Society of Women Engineers (SWE) in conjunction with the School of Engineering. The Open House allows prospective female students to discover the many opportunities available within the School. Students will attend sessions presented by the Offices of Admissions and Student Financial Aid, the Career Development Center and two engineering majors of their choice. Separate panels of professional female engineers and current SIUE female students will be available for questions. Throughout the day, students will be able to interact with engineering professionals, students and university faculty. The Society of Women Engineers will host a lunch with a keynote speaker. For more information, visit the SIUE SWE website. Photo: At the SWE Open House during the 2013 spring semester, Mark Goerger and daughter Kristin visit with Vicki LaRose, an SIUE alum and president of Civil Designs, Inc., in St. Louis. SIUE’s Chris Gordon and Sandra Hindelang were quoted in a Belleville News Democrat story regarding challenges within the construction industry. The story by BND reporter Will Buss was published Sun., Sept. 15. Gordon is an associate professor and chair of the Construction Department in the School of Engineering. Hindelang is director of executive education in the SIUE School of Business. They combine to direct SIUE’s highly successful Construction Leadership Institute. Photo: SIUE Assoc. Professor Chris Gordon. SIUE School of Engineering Graduate Student Amy Sunderlin talks with fifth graders from Columbus Elementary School. More than 120 fifth-graders from Columbus Elementary School in Edwardsville enjoyed a visit today from the Southern Illinois University Edwardsville School of Engineering solar car and members of the award-winning SIUE Solar Car Team. Vince Schlueter, the principal at Columbus, said Edwardsville School District 7 promotes a strong STEM-oriented curriculum for its classes. Columbus School has worked with other leaders in the district to create solar powered Barbie jeeps and with SIUE to host a highly popular weather balloon launch. Today’s visit by SIUE students and graduates took these fifth-graders to the next level by introducing them to engineering and solar power as it comes into play in higher education, he said. “This is a great visual representation of how solar can be used to move objects and to charge batteries,” said Matt Maddox, a fifth grade teacher at Columbus who helped set up the event. “It’s also a wonderful opportunity for these students to see engineering in action. The solar car uses a lithium ion battery pack that produces up to 96.2 volts of electricity. It can reach up to 45 miles per hour. The car has been driven in competitions, including the Formula Sun Grand Prix in Austin, Texas in June. SIUE’s solar car team won the Spirit Award at the event. Team members are looking forward to another race, the American Solar Challenge, in July, 2014. This race, too, will be held at the Circuit of the Americas Formula race track in Austin. • Amy Sunderlin, of Rockford, a graduate student in electrical and computer engineering. Sunderlin has worked with the solar car for four years and recently served as the SIUE Solar Car Team captain. • Alex Wolff, an alumnus from Ferguson, Mo. • Louis Neumeyer, a junior engineering major from Millstadt. The SIUE students talked about the importance of team work in engineering projects. The fifth-graders passed around solar panels, as well as pieces of carbon fiber that are used to support the solar panels on the vehicle. The children were asked to break the carbon fiber. They couldn’t. The pieces of solar panel are attached to carbon fiber and hooks are used to hold them in place. After she earns her master’s degree, Sunderlin said she hopes to become an automation engineer. Steve Muren, faculty advisor for the SIUE Solar Car Team, took part in the visit. He hopes visits like this will encourage more young people to pursue STEM degrees and careers in the future. At the end of the presentation, Schlueter asked the students, “Are you guys ready to see it move?” To which students cheered and shouted. Following the honk of its horn, the vehicle was started and a clicking sound of its electric motor could be heard as it was maneuvered in the Columbus Elementary School parking lot, straightened out and led back into its trailer. A delegation from Louisiana visited the Southern Illinois University Edwardsville’s Environmental Resources Training Center (ERTC) on Friday in hopes of duplicating the unique Center’s successes in Baton Rouge. “It’s hard to find places that train people in this field, which is surprising as everybody needs waste water and water treatment,” said David R. Gullory, public works director for the Department of Public Works for the City of Baton Rouge and the Parish of East Baton Rouge. Gullory was one of four engineers who traveled to the University to tour the ERTC, the SIUE School of Engineering and the campus. Others accompanying Gullory included: Dr. Patrick Carriere, associate dean and professor at Southern University College of Engineering in Baton Rouge; Joshua R. Crowe, program manager at CH2M HILL in Baton Rouge; and Dr. Joshua Joseph, senior technologist at CH2M HILL. CH2M HILL is a consulting, design, design-build, operations and program management firm with offices in Baton Rouge. The company’s world headquarters is located in Englewood, Colo.
Paul Shetley, ERTC director, explained the purposes and functions of the Center to the Louisiana contingent. Leading the tour were Shetley and three of his staff members: Kim Bateman, operations manager; Rick Lallish, program director for Waste Water Operations; and Kurt Neuhaus, ERTC instructor. Two sump pumps pull water from the SIUE Waste Water Treatment Plant to ERTC, where it goes through water and waste water training scale treatment plant. Then it is sent back down the hill to the treatment plant, according to Bateman. “It’s a perfect teaching tool,” said Shetley. “We don’t discharge any waste water. Everything goes right back to the SIUE Waste Water Treatment Plant. It’s a closed loop. The Center does two things, according to Shetley. The first is to offer a one-year program for students, who work eight hours a day, four days per week and learn everything about drinking water, treatment and waste water operations. The class of 27 full time students will graduate in July 2014. Secondly, the ERTC trains those people who are already in the field and provides them with continuing education to keep abreast of new technology. The ERTC building was constructed in 1978 and will graduate its 32nd class in July 2014. The training center is equipped to enroll 25-30 students a year. “ERTC continues to be a tremendous opportunity for students to enter a thriving and necessary water/waste water profession,” said Joseph. He came to SIUE early on Thursday to make a presentation to those students interested in engineering and sustainability. Joseph discussed projects his company, CH2M HILL, is working on. Rick Lallish, program director for Waste Water Operations, explains one of the facets of the water treatment process to David R. Gullory, public works director for the Department of Public Works for the City of Baton Rouge and the Parish of East Baton Rouge; and Joshua R. Crowe, program manager at CH2M HILL in Baton Rouge. Kurt Neuhaus, ERTC instructor, gives more details about SIUE’s Environmental Resources Training Center (ERTC) to the engineers from Louisiana. Southern Illinois University Edwardsville’s 2013 fall semester is highlighted by record total enrollments in the Schools of Engineering (1,462 students), Nursing (1,062 students) and Pharmacy (325 students). Undergraduate programs in the Schools of Education (4.7 percent), Business (4.5 percent) and Nursing (11.8 percent) all are enjoying enrollment increases. The School of Engineering’s undergraduate enrollment has climbed 11.8 percent (128 students) since last fall and 44 percent during the past five years. Dean Hasan Sevim has overseen steady growth from 1,054 total students in 2008. The School also is experiencing a rise in the ACT scores. This year’s 143 freshmen directly admitted into the School had average math and composite ACT scores of 28.5 and 27.5, respectively. Scott Belobrajdic, associate vice chancellor for enrollment management said, “With our Schools of Nursing, Pharmacy and Dental Medicine at capacity, the interest in our professional schools reflects that prospective students are making decisions based upon career aspirations.” He pointed to online programs bolstering Nursing. The new freshman class average ACT (23.0) increased two-tenths of a point over last year and is the highest in University history. The increase is six-tenths of a point better than 2011. The School of Education also is developing early-entry options for students interested in its undergraduate programs. New transfers are up to 1,252 students, an increase of 31, which is the highest since 2006. Belobrajdic pointed to a decline in high school populations in Illinois and throughout SIUE’s recruiting base as a critical factor for the smaller freshman class this year. The School of Education’s graduate program accounts for the majority of the decrease in graduate enrollment. Three online programs – master’s in education instructional technology; post-baccalaureate certificate in web-based learning; and master’s in education in kinesiology with a specialization in physical education and sport pedagogy – were added in late August to help the graduate program. Belobrajdic acknowledged that one of the most challenging aspects of this year’s enrollment trends has been reflected in graduate programs specific to K-12 audiences. These challenges are due in large part to the state’s current economic climate resulting in school budget cutbacks and decreases in professional funding for teachers. Also impacting graduate enrollments are new state requirements regarding the preparation of school-based administrators, which have been implemented to increase quality and reduce the number of licensed principals in the state through legislated higher program admission requirements and rigorous program standards. SIUE’s School of Education is proactively meeting the current needs of districts and teachers by offering endorsements in high need specializations, as well as providing flexible scheduling options including online and hybrid courses and programs taught off campus to enhance access. Photo: SIUE Class of 2017. Southern Illinois University Edwardsville Interim Provost and Vice Chancellor for Academic Affairs Ann Boyle has signed a three-year cooperative research and development agreement (CRADA) for the School of Engineering to work with the U.S. Transportation Command (USTRANSCOM) at Scott Air Force Base. The collaboration will facilitate investigation of innovative technologies and techniques in multiple disciplines to provide new opportunities and understand potential solutions to address USTRANSCOM information technology capabilities and supply chain needs, while providing SIUE with diverse and complex research problems facing the management of worldwide logistics. USTRANSCOM is a unified, functional combatant command of the Department of Defense which provides support to the eight other U.S. combatant commands, the military services, defense agencies and other government organizations. It provides full-spectrum global mobility solutions and related enabling capabilities as required. SIUE’s expertise in information technology and supply chain management practices was attractive to USTRANSCOM. The relationship will provide opportunities for USTRANSCOM to understand the feasibility, utility, and risk of new concepts and logistics techniques as applied to its missions. SIUE faculty and students will have access to selected information on USTRANSCOM and federally operated information and logistics systems. They will learn about USTRANSCOM architectures, business processes, operational and security challenges, and emerging government information technology and logistics techniques. USTRANSCOM uses the same “Technology Transfer” authorities as federal laboratories to partner with industry and academia, collaboratively exploring future concepts and technologies and sharing expertise for mutual benefit. The outside party obtains access to government expertise and techniques and possibly technology or special facilities, while the government achieves deeper understanding of the potential benefits, risks and feasibility of new concepts and systems. Both parties thereby advance their ideas and innovations and may use the information gained for their own benefit and future planning purposes. USTRANSCOM cannot pay the non-federal party, but otherwise either partner can contribute resources of their own choosing to make the teamed research possible. Rob Beutel, USTRANSCOM chief technology officer, promoted the use of the CRADA and is the government’s principal investigator for the effort. “The CRADA is initially investigating some new techniques in information security,” Beutel said. “Improving that is key to so many aspects of logistics. Photo: SIUE School of Engineering Associate Dean Cem Karacal. Success in the highly competitive building industry requires exceptional leadership, management and communication skills. The innovative Construction Leadership Institute (CLI) has packaged those skills into a convenient, accelerated, nine-week program. Southern Illinois University Edwardsville announced today that it is now accepting registrations for the 2014 session of this highly popular program. Over the course of its 10-year history, CLI has seen many of its 200+ graduates advance to prominent positions across the building industry. “Professionals, who have participated in our program, now serve in leadership roles for several St. Louis area building contractors, facility owners and professional services firms,” said Chris Gordon, co-director of the CLI and chair of the Department of Construction in SIUE’s School of Engineering. The 2014 CLI will convene on nine-consecutive Fridays from 7:30 a.m.-4 p.m. beginning Jan. 10 through March 7 on the SIUE campus. CLI is a joint program of the SIUE School of Business and the School of Engineering’s Department of Construction. The curriculum is designed to develop and hone leadership as well as effective communications skills. Other segments focus on crucial professional skills such as strategic thinking, networking, negotiation, finance, construction contracts, insurance and bonding, risk management and conflict management. The instructional team includes building industry professionals and subject matter experts. Attendees also will discover emerging methods of delivery such as lean construction and integrated project delivery, and become attuned to legislative issues impacting the industry. The final session of the program features a panel of building industry leaders sharing their strategies for success. Early registration is available through Nov. 15, at a cost of $2,950. After Nov. 15, registration is $3,150 per person. A $200 discount per person is given for multiple company registrations. To register, call Sandra Hindelang at 618-650-2668 or visit: http://www.siue.edu/cli/. Photo: CLI 2013 attendees focus on a presenter. Southern Illinois University Edwardsville assistant professor Dr. Jenna Gorlewicz has been selected to attend the National Academy of Engineering Frontiers of Engineering Education (FOEE) Symposium. She is a new faculty member in the School of Engineering’s Department of Mechanical Engineering. The FOEE Symposium will be held on Sunday, Oct. 27 – Wednesday, Oct. 30, at the National Academies’ Beckman Center in Irvine, Calif. It brings together some of the nation’s most engaged and innovative engineering educators in order to recognize, reward and promote effective, substantive and inspirational engineering education through a sustained dialogue within the emerging generation of innovative faculty. Gorlewicz will present her research efforts on the creation, integration, and assessment of haptic (touch) devices and associated curriculum in enhancing student learning in engineering education. “Dr. Gorlewicz’s participation will positively impact the quality of both present and future teaching and courses in our department,” said Majid Molki, distinguished research professor and chair of the SIUE Department of Mechanical Engineering. “Her involvement will strengthen future courses such as mechatronics and robotics, and will bring a host of new ideas to our program. “Being selected to attend is both personally fulfilling and professionally valuable to me as an engineering educator,” Gorlewicz said. “I will have the opportunity to share my engineering education research efforts, learn from best practices and network with many innovative engineering educators. Selection into the symposium is a competitive process, involving both a nomination and an application phase. A Bartelso native, Gorlewicz earned a bachelor’s in mechanical engineering from SIUE in 2008. She achieved a doctorate in mechanical engineering in 2013 from Vanderbilt University. Photo: SIUE’s Dr. Jenna Gorlewicz. SIUE’s Solar Race Team displayed its solar car at the Edwardsville Police Department’s DARE (Drug Abuse Resistance Education) Car, Truck and Motorcycle show on Sunday, Aug. 18, at Edwardsville High School. The annual event benefits the area schools’ DARE programming. Through Edwardsville P.D. Officer Christopher Williams, the SIUE team secured a slot in the show among the classic Mustangs, Oldsmobiles, and super cars. Sunderlin described the response from the event’s attendees as very welcoming. “So many people walked by the solar car and took the time to examine the car, asking questions about it,” she said. The Solar Race Team filled out the paperwork necessary to get the car judged along with all of the other gasoline powered cars at the show. Although the car did not win any awards, the team was more than satisfied by the encouragement and praises from the attendees. Photo: SIUE Solar Race Team displays its car at Edwardsville High School. Franke’s English class is one of a series of courses being offered to 32 students participating in the summer component of the Math & Science program, held on the SIUE campus. Franke is a part-time instructor for SIUE’s Instructional Services and a tutor in the Writing Center. This year’s schedule consisted of geometry, algebra II, English/literature, computer science, anatomy and physiology. Students also had the opportunity to participate in three workshops on graph theory and networks. Volunteering to teach the workshops were Gunes Ercal, assistant professor in SIUE’s Computer Science Department; Xin Chen, assistant professor in SIUE’s Mechanical and Industrial Engineering Department; and John Matta, a graduate student in the School of Engineering. The Math & Science summer program ends Friday. “For students to give up their summer to participate in the program,” said program director Elke Harris-McIntosh, “shows how much they value this educational opportunity. One lesson on values was taught through “The Reality Store” workshop presented by the SIUE Career Development Center. The students took turns at a roulette wheel. Each was assigned a job and an associated income as a result of having been a high school dropout or having earned a high school diploma, an associate’s degree, a bachelor’s degree or a master’s degree. Students used their monthly income to pay for housing, utilities, transportation, groceries, child care, clothing and more. The game was revised and coordinated by Robin Kilpatrick, counselor, SIUE Career Development Center. In “The Reality Store” game, Martell spun the wheel and learned her fate: a high school dropout with three children and a husband. Martell’s assigned employment was a pizza delivery person with a monthly net pay of $1,015. Franke has been a language arts instructor with the Math & Science summer program for five years, said program counselor Judith Sams. Franke graduated from SIUE in 1974 with a bachelor’s in elementary education. He received a master’s in education from SIUE in 1984. Seventeen-year-old Brian Brown has participated in the Math & Science summer program for the past three years and realizes how helpful it has been. “When talking about my future,” said the junior at East St. Louis High School, “I no longer say if I go to college. I say when I go to college. Also expressing his gratefulness for the program and the program director was 16-year-old Darwin Harris. The SIUE Upward Bound Math & Science program is designed to prepare participants for post-secondary education and motivate their exploration of science, mathematics and related education professions. Participants receive tutorial instruction in science, math, language arts, foreign language and computer/laboratory instruction. The program also offers a six-week summer residential component, where University faculty members instruct introductory courses in science, math, language arts, foreign language and computer literacy. Photo Information: Martell Cotton, Upward Bound Math & Science student, works on an exercise in her English composition class. David Franke, part-time instructor/writing tutor with SIUE Instructional Services and English teacher for the Upward Bound Math & Science summer program, makes a grammatical point to a class of attentive high school students. Golden Apple Scholar Karina Arroyo reviews English reading material with Upward Bound Math & Science students Donovan Crowder and Marcus Brown (foreground). The Southern Illinois University Edwardsville Solar Car Club won the Spirit of the Event Award at the American Solar Challenge Formula Sun Grand Prix (FSGP) in Austin, Texas, during the last week of June. SIUE claimed the Spirit award for persistence and dedication throughout the event which endured through high temperatures of 108 degrees and track temperatures exceeding 140 degrees. SIUE finished eighth in a field of 12 teams by completing 10 laps and finished ahead of Georgia Tech, Northwestern University and Missouri S&T. Oregon State University (193 laps) won the event with Illinois State University (192 laps) as runner-up and Iowa State University (191 laps) finishing third. The University of Texas at Austin hosted the event which ran Monday-Friday, June 24-29, with the final three days spent racing at the Circuit of the Americas. The event drew record crowds for a FGSP track event estimated at 1,600 people. The FSGP is a biannual track race that is held on grand prix or road style closed courses. This unique style of solar car racing is open to teams from around the world and tests the limits of the vehicles in handling curves, braking and acceleration. Driver training, passing strategy, and quick pit stops are crucial for teams racing in FSGP. Alumni: Alex Wolff of Ferguson, Mo., and Derek Freiburghaus of Columbia, Ill. Seniors: Nate Fox of Columbia, Ill., Travis Powers of Houston, Texas, Mark Matthews of Swansea, Marc Wilmsmeyer of Edwardsville and Matt Boone of Belleville. Juniors: Zachary Crawford of St. Elmo, Ill., Louie Neumeyer of Millstadt, Nic Meyer of Bloomington and Curtis Mueth of St. Peters, Mo. One of those challenges was the time crunch spent in three days of preparation, called “scrutineering.” The car had to meet a variety of structural, electrical, mechanical and functional standards before being allowed on the track. The crew beat the clock in several instances to address issues or make repairs to stay in the race. Dr. Andy Lozowski, assoc. professor of electrical and computer engineering and faculty advisor on electrical systems, and Steve Muren, manager of electrical and computer engineering, served as advisors. Lozowski said the most challenging part of the endeavor is funding. “Our students could build a nice looking car that is way more competitive, but that costs about $300,000.” he noted. Southern Illinois University Edwardsville’s good name and reputation is growing in parts of Asia. The University recently entered into an agreement to bring more Asian students to campus through a dual diploma program with Tongmyong University in Busan, South Korea. After working the curricula details with the South Korean school for nearly six months, SIUE Chancellor Julie Furst-Bowe signed a memorandum of understanding on June 11 with Tongmyong University. 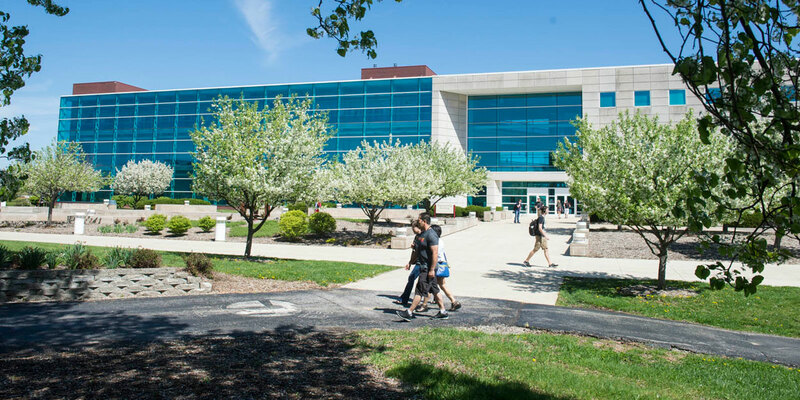 SIUE also expects to finalize negotiations sometime in August for a dual diploma program with Shenyang Aerospace University in Liaoning in northeastern China. Furst-Bowe was part of an SIUE contingent visiting South Korea and China from June 7-18 that included School of Engineering Dean Hasan Sevim, School of Education Dean Bette Bergeron and Center for International Programs Director Ron Schaefer. “Our trip to Asia was for the purpose of strengthening and promoting our dual diploma programs and for broadening our global presence,” said Furst-Bowe. The South Korea dual diploma program is the second that SIUE has established. The agreement involves Tongmyong University officials selecting a group of students who will begin the program at their university as freshmen and sophomores. The students transfer to SIUE to complete their junior and senior years. Upon graduation, the South Korean students will receive their respective diplomas from both Tongmyong University and SIUE. Students can major in mechanical engineering, computer science, electrical engineering, computer engineering and industrial engineering. The first group of an expected 40-50 South Korean students are expected in fall 2014. In addition to sharing students, the dual degree program agreement also offers opportunities for faculty exchange, summer programs and cooperative research. While in China, SIUE officials were hosted by Shenyang Aerospace University and the School of Engineering staff worked on common curricula with their counterparts similar to South Korean curricula in various engineering disciplines. Sevim said three other universities also were visited in China for potential international cooperation: Shenyang Ligong University, Shenyang University of Chemical Technology and Shenyang Jianzhu University. SIUE currently has a dual diploma program with Istanbul Technical University. The joint-diploma program in industrial engineering is the first of its kind in the United States and Turkey. Students from Turkey earn a bachelor’s in industrial engineering, and diplomas from each University. During the trip, Bergeron visited with officials to discuss the School of Education’s successful International Training Program in Pedagogy, through which faculty members from international institutions stay on the SIUE campus for a semester to learn American style pedagogy through active participation in classes and focused seminars. Bergeron also discussed possible expansions to leadership training programs for university administrators as well as potential areas of collaboration including student exchanges and 1+1 programs for graduate students. She also visited with representatives at Shenyang Normal University and explored a range of options for possible future partnerships. President Dong-kun Sul in Busan, South Korea. The SIUE School of Engineering is hosting its annual Engineering Summer Camp for high school students interested in learning more about engineering and the career options within that field. This summer, the camp held its first session June 9-14. The second session began on June 16 and will close on Friday, June 21. Watch the SIUE Engineering Summer Camp news video. Students at the camp are scheduled for various hands-on activities that introduce them to the fields within the engineering discipline. Activities during the camp encompass principles of mechanical, industrial, electrical and civil engineering, as well as construction management and computer science. In the course of the camp, students participate in several projects, including building fuel cell cars, rockets and robots. Before embarking on their own projects, they get to see demonstrations of projects built by SIUE engineering students to inspire their work. This year, students from various parts of the nation as well as from the Metro East and St. Louis-area have participated in the camp. Gordon says the camp has reached a record number of 56 total students enrolled. Each year, the camp attracts students from Illinois and neighboring states, including Indiana, Tennessee, Kentucky and Missouri. This year’s camps also included applicants from as far away as Alaska and Idaho. Sisters Casey Beard, 14, and Reese Beard, 12, travelled from Howser, Idaho, to attend the Engineering Camp. They are home-schooled students who attend the Idaho Virtual Academy, which is an online home schooling program. Despite their ages, they are at high school academic levels, and they both have come to the camp to explore their career and college options. Chris Couch, 16, of O’Fallon (Ill.) Township High School came to the camp knowing he wanted to be an engineer but unsure of which field he wanted to focus on. Brent Ellis, 16, of Bloomfield (Ind.) Junior-Senior High School, finds the several fields of engineering each fascinating in different ways. He has also found that having knowledge in all of the fields can be helpful in starting a career. Gordon believes that bringing together promising young students with varying engineering interests and showing them the diversity within the broader field has garnered enthusiasm among SIUE engineering faculty and students. SIUE School of Engineering offers one of the most comprehensive and affordable engineering programs in the St. Louis region with eight undergraduate degrees, five master’s degrees and a cooperative doctoral program, all housed in a state-of-the-art facility. Students learn from expert faculty, perform cutting-edge research, and participate in intercollegiate design competitions. Companies in the metropolitan St. Louis area provide students challenging internships and co-op opportunities which often turn into permanent employment. All undergraduate programs are accredited by their respective accreditation agencies. Pictured on left is Wesley Neal (16) of Peoria High school with Dan Kornell (16) of Edwardsville High School. SIUE School of Engineering faculty member Steve Muren (in the middle) explains a point to Amber Holt (17) of Edwardsville High School and John Wicks (16) of the SIUE East St. Louis Charter High School. Two sessions of a popular residential camp through the Southern Illinois University Edwardsville School of Engineering will bring roughly 60 high school freshmen, sophomores and juniors to campus during two week-long sessions. About 30 students will take part in each of the programs, which will take place in mid-June. The sessions of the High School Outreach programs will take place from June 9-15 and June 16-22. Both sessions will include a week of exploration in the areas of engineering, science and technology. While on campus, students will learn about various engineering disciplines, including computer science and construction management. The campers will have the opportunity to discover first-hand how engineering impacts lives on a daily basis. They will participate in hands-on laboratory experiences, design contests and field trips. As part of the residential experience, students live with a roommate in the University residence halls, have meals in the Morris University Center and build lasting friendships with their fellow campers from other schools. The participating students can have access to the University’s athletic facilities and the Morris University Center in the evenings. They are allowed to engage in activities such as bowling, swimming, rock wall climbing, volleyball, basketball and arcade games. “This is a great opportunity that generates awareness across the state and promotes the wealth of resources available through the School of Engineering,” Gordon said. “It also introduces the students to the wide array of programs and services available through the University. The $350 fee for the High School Outreach program includes accommodations, food, round-trip transportation for field trips, as well as all necessary materials and supplies. For more information about the program, visit http://www.siue.edu/engineering/summercamps/index.shtml. Limited scholarship opportunities are available each year for students who can demonstrate inability to pay the full cost of the program. For more information regarding scholarships, contact Gordon at engineering@siue.edu. Five undergraduate students and an administrator from Guru Nanak Institution’s (GNI) Engineering and Technology Campus in Hyderabad, India, visited Southern Illinois University Edwardsville over the past six days. They met with faculty from SIUE’s School of Engineering and School of Business. View the story. Students who visited SIUE included: Peddu Reddy Sreeja Reddy, Sardani Harpreeth Kour, Gosukonda Sai Alekhya, Konijeti Vamshi Krishna and Perla Shruti Purushottam. Three professors from the Department of Computer Science; Drs. Mark McKenney, Igor Crk, and Hiroshi Fujinoki, helped the visiting students with various hands-on projects to give them a flavor of computer science education at SIUE. The potential for collaboration between SIUE and GNI came about when Sevim and Schaefer participated in a conference in Hyderabad in September 2012. They met Harvinder S. Saini, GNI managing director, and gave him an overview of SIUE. “We thought SIUE was a good match for us,” Saini said. Photo Information: Pictured are the five students from Guru Nanak Institutions (from left to right): Gosukonda Sai Alekhya, Perla Shruti Purushottam, Konijeti Vamshi Krishna, Sardani Harpreeth Kour and Peddu Reddy Sreeja Reddy. “Advancing the STEM Agenda,” a conference sponsored by the American Society for Quality (ASQ) that will focus on science, technology, engineering and mathematics in education, will take place June 3-4 at Grand Valley State University in Grand Rapids, Mich.
Georgia Bracey, research associate from the STEM Center. Bracey, Marlette, SIUE graduate student Molly Brooks and SIUE STEM Center Director Sharon Lockewill present their paper titled, “Teachers ‘n Training: Building Formal STEM Teaching Efficacy through Informal Science Teaching Experience.” The Teachers ‘n Training (TNT) program was made possible thanks to funding from The Boeing Co.
Glenn Walters, deputy cabinet secretary for the New Mexico Higher Education Department. The event will highlight promising practices that increase high school students’ interest in STEM disciplines and prepare them to pursue STEM majors in college, as well as improve recruitment and retention efforts, and provide mentorship opportunities to bring more scientists and engineers into the workforce. Some of the papers featured at the conference were partially funded by the National Science Foundation. SIUE Chancellor Julie Furst-Bowe, who has expressed her unwavering commitment to STEM initiatives, is a member of the conference planning committee. Two former Southern Illinois University Edwardsville engineering students won the third place award in a national structural design competition earlier this month in Pittsburgh. Winning the award were Luke Potthast and Ryan Holdener for their project, Dalian Office Building. Potthast and Holdener were one of three teams selected to compete in the final round of competition at the 2013 Student Structural Design Competition of the American Society of Civil Engineers (ASCE) Structural Engineering Institutes (SEI) Structures Congress. “It was pretty daunting when we submitted our project to the competition,” said Potthast, “knowing that we would be up against some of the largest engineering schools in the country. So, it was very exciting when we learned that we were picked in the top three and were able to represent SIUE at the Structures Congress.” Potthast and Holdener graduated from SIUE with bachelor degrees in Civil Engineering in May 2012. The engineering faculty selected Potthast and Holdener’s project in January of this year and submitted it to the SEI Structures Congress. The two SIUE alums were mentored by engineers at HOK Design Co. in St. Louis, Mo., for one semester. For more information on the global company based in St. Louis, see hok.com/. The pair designed a multi-story steel structure to be built in China with an estimated cost of $53.7 million, said Dr. Ryan Fries, SIUE assistant professor in Civil Engineering. “They constructed a digital model using the Building Information Modeling (BIM) software,” said Fries, who co-supervised the project with Dr. Brad Cross, SIUE professor of civil engineering. Among the many issues to consider when designing the model were the weight of the structure, the weight that might be applied to the building and environmental factors, Fries said. The competition looked mainly at students’ ability to effectively communicate the project to judges and the challenges or level of difficulty of the design, Fries added. “There were a few challenges throughout the project,” Potthast said. “The most difficult was learning new software that aided us in designing the building. Another challenge was trying to understand different construction and fabrication techniques that we needed to use in our design to make it a more efficient and cost effective building. Potthast and Holdener also had success with this same project when the duo presented it for SIUE’s Senior Assignment Showcase at the end of last spring’s semester, Fries said. “The faculty recognized then that they went above and beyond in doing a good job for their Senior Assignment,” said Fries. Southern Illinois University Edwardsville and the Construction Leadership Institute (CLI) last night named Frederic J. McCall as its first Alumni Leadership Award recipient. McCall is vice president of BSI Constructors and a CLI Class of 2004 graduate. The award was presented at the 10th anniversary celebration of the CLI program at SIUE in the School of Engineering atrium. The CLI Alumni Leadership Award recognizes an outstanding graduate of the CLI program honoring exceptional contributions to the building community through leadership, character and hard work. Fred McCall joined BSI Constructors as a project engineer. He has progressed through the ranks to his current role as vice president and preconstruction director, while serving in nearly every key role at BSI along the way. He is widely considered a top building professional in the St. Louis construction community. In addition, Fred contributes significantly to the St. Louis community through his work with his church, veterans organizations and the environment. Fred participated in the inaugural class of the CLI program. The Construction Leadership Institute was created 10 years ago when building industry leaders approached SIUE to help create a program to accelerate the leadership development of high potential employees. It resulted in the annual program of nine weekly, day-long sessions from mid-January through mid-March. The program is designed and continuously refined to develop and hone leadership, communication and critical professional skills for emerging leaders in the industry. “Many of the more than 200 building industry professionals, who have participated in the CLI program, now serve in leadership roles for St. Louis area contractors, suppliers, professional services firms, major facility owners and industry affiliated organizations,” said Sandra Hindelang, CLI co-director and director of Executive Education in the School of Business. Photo: BSI Constructors Vice President Fred McCall. Southern Illinois University Edwardsville’s School of Engineering has received a grant valued at nearly $830,000 from the National Science Foundation (NSF). “Graduate 10K+”, is a special funding mechanism within NSF’s STEM Talent Expansion Program (STEP). The focus is on creative approaches to retaining undergraduates in engineering and computer science during the first two years of college. STEM stands for science, technology, engineering and mathematics. SIUE is one of nine institutions on the receiving end of $10 million in funding from the Graduate 10K+ program. Dr. Cem Karacal, associate dean in the School of Engineering is SIUE’s principal investigator. The awards were announced today at the Knight Conference Center in Washington, D.C. The effort is supported by major funding from Intel and the GE Foundation. The SIUE project is titled “Student Teams Engaging Peers for Undergraduate Progress (STEP-UP)” and addresses pre-calculus and calculus I retention for engineering students. Karacal’s co-principal investigators include: Zenia Agustin and George Pelekanos, professors of mathematics and statistics; Ryan Fries, assistant professor of civil engineering; and Ryan W. Krauss, associate professor of mechanical and industrial engineering. The NSF is aware that as a new crop of graduates from U.S. colleges and universities enters the job market, the country is counting on a new wave of skilled workers to navigate a wide variety of complex issues. Challenges to national security, health and rehabilitation, energy security and reliability of critical infrastructure are among the most pressing. Yet in the critical fields of engineering and computer science, industry leaders lament an inadequate supply of graduates with the knowledge and skills needed in business and industry. These also are fields in which women and minorities are generally underrepresented. The National Science Foundation (NSF) has partnered with Intel and GE to change the status quo through a targeted set of grants whose projects take creative approaches in engaging and retaining undergraduates in engineering and computer science. Both fields are dynamic, encompassing areas of focus that didn’t even exist two decades ago –from green energy and advanced robotics to cybersecurity. Engineering and computer science also offer good careers with salaries that can make a life-changing difference, especially to first-generation college students and their families. Photo (L to R): Dr. Zenia Agustin, professor of Mathematics and Statistics; Dr. George Pelekanos, professor of Mathematics and Statistics; Dr Ann Boyle, SIUE interim provost and vice chancellor for Academic Affairs; Dr. Cora Marrett, NSF acting director; and Dr. Cem Karacal, associate dean in the SIUE School of Engineering. Frederic J. McCall, vice president of BSI Constructors. Southern Illinois University Edwardsville and the Construction Leadership Institute (CLI) will celebrate CLI’s 10th Anniversary tonight at a reception in the atrium of the SIUE School of Engineering. CLI alumni will be joined by well-wishers that include top St. Louis area building industry executives and SIUE administrators. A brief ceremony will trace the history of the program and recognize SIUE alum Ralph Korte for his leadership. Ten years ago, Korte approached SIUE to create a program to accelerate the leadership development of high potential building industry employees. Thus, CLI was born. The ceremony will include the first annual CLI Alumni Leadership Award to Class of 2004 graduate Frederic J. McCall, vice president of BSI Constructors. The CLI Alumni Leadership Award recognizes an outstanding graduate of the CLI program honoring exceptional contributions to the building community through leadership, character and hard work. Also to be spotlighted during the event is the Building Futures program, which the CLI Advisory Board has designated as the CLI Alumni Fall Service Project. Through an innovative extracurricular program, the Building Futures program is teaching St. Louis area middle school students the joy of hands-on design and building. Annually in the fall, CLI alumni donate a Saturday morning instructing students to safely use power tools and to develop design and building skills. The Construction Leadership Institute is a collaborative effort between the SIUE Schools of Business and Engineering to offer an annual program of nine weekly, day-long sessions from mid-January through mid-March. The program is designed and continuously refined to develop and hone leadership, communication and critical professional skills for emerging leaders in the building industry. A plaque honoring the contributions to the St. Louis community by late CLI graduate Tyrone Thompson also will be presented. Tyrone’s mother, former Missouri State Rep. Betty Thompson, will accept the honor. Tyrone Thompson was a member of the Kwame Building Group and graduated from the inaugural CLI program in 2004. In his private life, he was a fierce education advocate who mentored hundreds of at-risk youth. Thompson was tragically shot by two teenagers in an attempted robbery in 2010. At the time, he was developing a mentorship program through University City High School. The Kwame Building Group continued Tyrone’s work by creating the Tyrone Thompson Institute for Nonviolence (TTIN), which offers an innovative approach to school suspensions. Through the foundation, college students are trained to provide one-on-one mentoring in a student’s own school setting, and support skills workshops are available to parents. As a result, college students perform community service by tutoring and mentoring; parents build parenting skills; schools retain state funding; and juvenile delinquency and dropout rates are reduced. SIUE School of Business and the accountancy programs are accredited by the Association to Advance Collegiate Schools of Business International, representing the highest standard of achievement for business schools worldwide. The Princeton Review consistently lists SIUE as one of the top 296 business schools in the U.S. for the seventh consecutive year. Undergraduate and graduate degrees are offered in accounting, computer management and information systems, economics, finance, management and marketing. More than 20,000 alumni have earned degrees from the SIUE School of Business. For more information about the School of Business, visit www.siue.edu/business. Southern Illinois University Edwardsville and the Construction Leadership Institute (CLI) Advisory Board will present a plaque honoring the contributions to the St. Louis community by late CLI graduate Tyrone Thompson. The plaque will be presented at the 10th anniversary celebration of the CLI program on Wednesday, May 8, in the School of Engineering atrium. Thompson’s mother, former Missouri State Rep. Betty Thompson, will accept the award. Tyrone Thompson was a member of the Kwame Building Group and graduated from the inaugural program of the Construction Leadership Institute in 2004. In his private life, he was a fierce education advocate who mentored hundreds of at-risk youth. Thompson was tragically shot by two teenagers in an attempted robbery in 2010. At the time, he was developing a mentorship program through University City High School. The Kwame Building Group continued his work by creating the Tyrone Thompson Institute for Nonviolence (TTIN), which offers an innovative approach to school suspensions. Through the foundation, college students are trained to provide one-on-one mentoring in a student’s own school setting and support skills workshops are made available to parents. As a result, college students perform community service by tutoring and mentoring; parents build parenting skills; schools retain state funding; and juvenile delinquency and dropout rates are reduced. CLI was created 10 years ago when building industry leaders approached SIUE to help create a program to accelerate the leadership development of high potential employees. It resulted in collaboration between the SIUE Schools of Business and Engineering to offer an annual program of nine weekly, day-long sessions from mid-January through mid-March. The program is designed and continuously refined to develop and hone leadership, communication and critical professional skills for emerging leaders in the building industry. The Society of Women Engineers (SWE) at Southern Illinois University Edwardsville received two awards Saturday, May 4, from the St. Louis Society of Women Engineers. The St. Louis SWE held its first Awards Night at the Engineers Club of St. Louis. The SWE earned the Collegiate Award for its “Introduce a Girl to Engineering Day” program, which was held on February 23. The event encourages middle school girls to pursue engineering careers. More than 100 young women from the Metro East rotated among classrooms in the SIUE Engineering Building to perform experiments in the fields of chemical, mechanical, structural, electrical and civil engineering. The hands on activities and interact with women engineers as a way of engaging and encouraging them to enter into the field of engineering. The event also earned SIUE’s Kimmel Leadership Center’s Outstanding Program of the Year award. The SIUE SWE received the SWE Crease Award for Collegiates for the highest growth, adding 22 new members during the 2012-13 academic year, of a collegiate section. The Crease award came early March with monetary value of over $200. SIUE section President Alexis Brown accepted the Collegiate Award on behalf of the section. She was joined by classmates Stephanie Veile, Meetva Shah and Cathy Casey. Also present were SIUE engineering alumni Jessica Hoffman, who is the SIUE SWE collegiate counselor, and Kalyn Miller. SIUE Chancellor Julie Furst-Bowe shakes the hand of a graduate at Spring 2013 commencement ceremonies. Newly installed Southern Illinois University Edwardsville Chancellor Julie Furst-Bowe presided over her first Spring Commencement on Friday and Saturday, May 3 and 4. Ceremonies for the 1,886 eligible graduates concluded early Saturday evening in the Vadalabene Center on campus. View Friday’s ceremonies. During her remarks, Furst-Bowe presented three points of advice to the graduates: 1) Establish priorities and set goals; 2) Get involved in your community both locally and professionally; 3) Have and be a mentor. Along the way in regard to planning and work ethic, she quoted late Green Bay Packers head coach Vince Lombardi that “The man at the mountain top didn’t fall there.” See the video. Furst-Bowe was officially installed as SIUE’s eighth chancellor by SIU President Glenn Poshard on Friday, April 19, in ceremonies on campus. As her SIUE tenure began on July 2, 2012, Furst-Bowe is completing her first academic year. Jerry and Mary Kane were acknowledged as Distinguished Service Award recipients during the ceremonies. Mary Kane is senior vice president, public finance, for Stifel, Nicolaus & Company, Inc. in St. Louis. Jerry Kane serves as executive director of the Agency for Community Transit (ACT). Both are long-time SIUE supporters. Dr. Kay Gaehle, associate professor in the Department of Primary Care and Health Systems in the School of Nursing, received the 2013 Teaching Excellence Award during Friday night’s presentation. The festivities began Friday night with the Graduate School, School of Business and School of Nursing students receiving their degrees. Kevin Caraker, who earned a bachelor’s in business administration, was the student speaker for Friday’s session. He discussed each individual’s vision and pursuing one’s dreams and goals. Ceremonies resumed at 9 a.m. Saturday with the Graduate School and School of Education. See the video. The morning student speaker is Cassandra Sams, who earned a bachelor’s in speech language pathology. She spoke of the SIUE community that encourages, challenges and supports its students. Student Government President Erik Zimmerman, who earned a bachelor’s in philosophy, spoke during the Saturday afternoon ceremony representing the College of Arts and Sciences. As he elaborated that SIUE’s values encourage risk-taking, he challenged his fellow graduates to take creative risks to spark innovation and cultural change. View the afternoon ceremony. Jessica Thompson, who earned a bachelor’s in industrial engineering, spoke during the evening session for the School of Pharmacy, College of Arts and Science graduate students and the School of Engineering. Watch the Saturday evening session. Belleville East High School won the seventh annual Greater St. Louis Botball Tournament on Saturday, April 20, at Southern Illinois University Edwardsville. A record 36 teams competed before a steady crowd of more than 400 throughout the day in the Morris University Center Meridian Ballroom. In Botball, the overall winner is determined as a sum of a team’s score in seeding rounds, the double-elimination tournament and in documentation developed before the competition and presented at the competition. Each of these categories is equally weighted when determining overall score. In the seeding rounds, Belleville East High School, Girl Scouts of Southern Illinois, Pana Junior High School and The Daniela Rus Team from Wabash Valley took first through fourth place, respectively. Belleville East had the highest scoring seeding round with 186 points. Five teams had perfect documentation scores: Alton Middle School, Belleville East, Edwardsville High School, The Daniela Rus Team from Wabash Valley and The Maja Mataric Team from Wabash Valley. The double-elimination tournament found Pana Junior High School, Edwardsville, Bond County Community #2 and Belleville East finishing first through fourth place, respectively. PJHS topped defending overall champion Edwardsville in the final of the double-elimination event. Bond Community reached the final four and topped Belleville East before falling to Edwardsville. PJHS, a first-time Botball team, then walked away undefeated in the double-elimination tournament with its victory over EHS. Overall point scoring put Belleville East in first place with 2.88 points out of 3.0. The Girl Scouts moved up a notch this year to take second overall with a total 2.72 points. Scoring 2.66 out of 3.0, Pana Junior High School took third. Fourth place went to Edwardsville with a score of 2.60. Complete details on the scores can be found at http://www.botball.org/gsl/2013/tournament/results. Gary Mayer, Ph.D., an assistant professor of computer science in the SIUE School of Engineering, is one of the event organizers. “We had a great tournament this year, and the judges were especially pleased to see the assortment of technical skills and ideas brought by all of the teams,” Mayer said. Mayer noted that one of highlights of the tournament was Pana Junior High School’s win over Edwardsville High School. “It was quite a thrill to see a junior high team, brand new to Botball, do so well by winning the double-elimination,” Mayer said. “People frequently are surprised to learn that the kids as young as 6th grade compete head-to-head against high school teams. I always tell them that they can hold their own, and this demonstrates just that. The SIUE School of Engineeringoffers one of the most comprehensive and affordable engineering programs in the St. Louis region with eight undergraduate degrees, five master’s degrees and a cooperative doctoral program, all housed in a state-of-the-art facility. Students learn from expert faculty, perform cutting-edge research, and participate in intercollegiate design competitions. Companies in the metropolitan St. Louis area provide students challenging internships and co-op opportunities which often turn into permanent employment. All undergraduate programs are accredited by their respective accreditation agencies. SIUE East St. Louis Charter High School team members (left to right) Daje Na Lockett, Dameon Denzmore and Quewon Smith work on their robot at the seventh annual Greater St. Louis Botball Tournament at SIUE. SIUE Chancellor Julie Furst-Bowe met with delegates from Shenyang Aerospace University on Monday to discuss potential partnership agreements. In an effort to enhance its global presence, members of the Southern Illinois University Edwardsville administrative team met with delegates from China’s Shenyang Aerospace University on campus Monday. The event was organized by the SIUE School of Engineering. Administrators from the SIUE schools of Business, Education and Engineering, and the SIUE Center for International Programs, SIUE Chancellor Julie Furst-Bowe and delegates from Shenyang Aerospace University met Monday to discuss a potential academic outreach program. Currently, the School of Engineering has a partnership with Istanbul Technical University in industrial engineering and is reaching out to other countries for additional partnership agreements. Administrators from the SIUE schools of Business, Education and Engineering, as well as the SIUE Center for International Programs also took part in educating the delegates about SIUE and all the University has to offer. SIUE Chancellor Julie Furst-Bowe accepts memorabilia from Shenyang Aerospace University President Wang Wei. Southern Illinois University Edwardsville hosts the seventh annual Greater St. Louis Botball Tournament on Saturday, April 20 in the Morris University Center Meridian Ballroom. A record 36 teams are registered for the competition that begins at 10 a.m.
Gary Mayer, Ph.D., an assistant professor of computer science in the SIUE School of Engineering, is one of the event organizers and is encouraged by the record participation. Mayer described the tasks in the tournament challenge as never having a single solution. The teams receive a kit with hundreds of parts such as sensors, motors and structural pieces. Students are free to be as inventive with the kit components as possible. The result is a fleet of unique robots that allow the students to see the strengths and weaknesses of different approaches, especially in head-to-head competition. Double elimination rounds begin at 2 p.m. An awards presentation is set for 5:30 p.m. For more information visit the regional tournament website. Edwardsville High School is the defending champion. The SIUE School of Engineering offers one of the most comprehensive and affordable engineering programs in the St. Louis region with eight undergraduate degrees, five master’s degrees and a cooperative doctoral program, all housed in a state-of-the-art facility. Students learn from expert faculty, perform cutting-edge research, and participate in intercollegiate design competitions. Companies in the metropolitan St. Louis area provide students challenging internships and co-op opportunities which often turn into permanent employment. All undergraduate programs are accredited by their respective accreditation agencies. Southern Illinois University Edwardsville hosts the seventh annual Greater St. Louis Botball Tournament Saturday, April 20 in the Morris University Center’s Meridian Ballroom. Gary Mayer, Ph.D., an assistant professor of computer science in the SIUE School of Engineering and one of the event organizers, spoke with KMOX’s Charlie Brennan last week about the event. Listen to the interview. SIUE Civil Engineering students work to move a concrete canoe that students created out of water during the annual regional ASCE Conference. SIUE students compete in the annual concrete canoe competition, which was held on campus Saturday. From April 4-6, Southern Illinois University Edwardsville hosted the 2013 American Society of Civil Engineers (ASCE) Mid-Continent Student Conference. Approximately 330 civil engineering students and faculty from 15 Midwest universities participated in the competition. The University of Oklahoma took the top spot in this year’s annual regional concrete canoe competition, which is a major highlight of the conference. The competition took place at the SIUE Cougar Lake Marina on Saturday. The SIUE Concrete Canoe Team won last year’s competition, which was held at the University of Nebraska-Lincoln. The first place team is invited to the national competition. For more information, visit the conference website. SIUE students took part in the concrete canoe competition, which was part of the annual ASCE regional conference, held on the SIUE campus. More than 300 alumni, students, faculty, staff and industry friends turned out Tuesday for the Southern Illinois University Edwardsville School of Engineering’s 7th Annual Awards Banquet. The event recognized outstanding students, alumni, teachers, researchers and retiring employees. Bruce Schopp, who graduated in 1982 from SIUE with a Bachelor of Science in Civil Engineering and is a licensed professional and structural engineer spoke about how his family, as well as his parents, teachers and students are important to him and to SIUE. Schopp is president and COO of Oates Associates and is active in the Illinois Society of Professional Engineers. He also is a member of the SIUE School of Engineering Advisory Board and serves as vice president of the Board of Directors for the American Council of Engineering Companies. Awards also were given to Dr. Xin Chen from the Industrial and Manufacturing department for Outstanding Researcher; Mike Basler from Basler Electric for Outstanding Adjunct Instructor; Mike Blakey from Anheuser Busch for Outstanding Advisory Board Member; Dr. Albert Luo of the Mechanical Engineering department, and Marty Reynolds from the Environmental Resources Training Center for Outstanding Service. Retiring faculty member Dr. Luis Youn, professor of Electrical and Computer Engineering, also was honored.